Atlantic Electric, LLC has the skills necessary to engineer and install Isolated Phase Bus Duct and the associated power equipment. 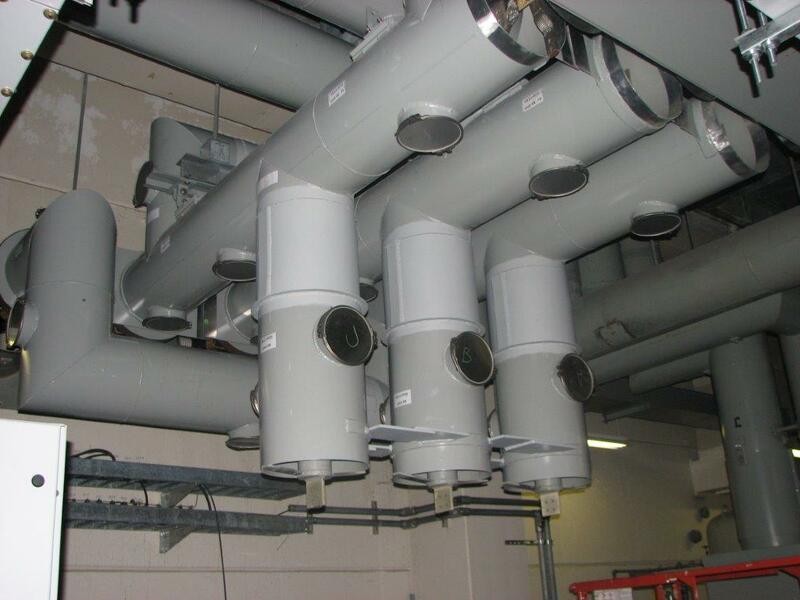 We have skilled Project Managers, Forman, CQ managers, and electricians. The Army Corps of Engineers is a demanding customer that expects quality and safety. Our teams are experienced in power plant practices. We get the job done on schedule. 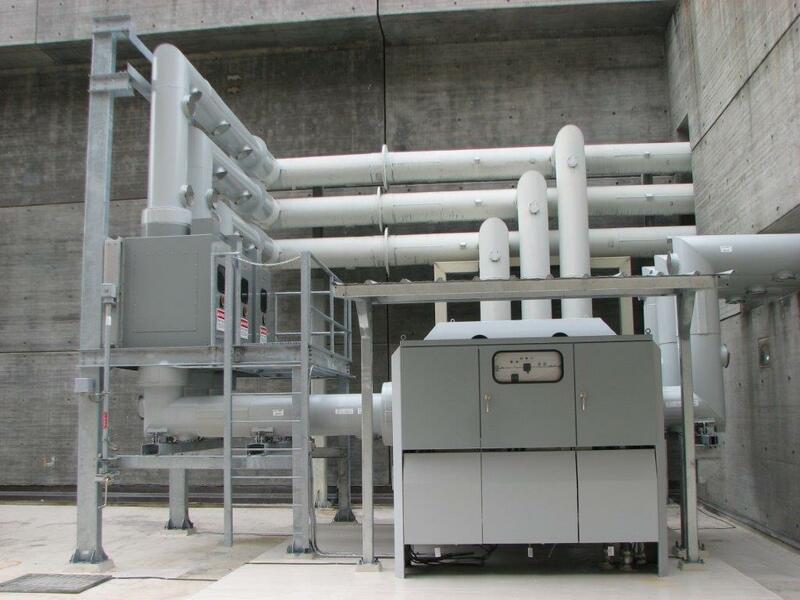 This project is for replacement of the existing main unit circuit breakers (MCBs) for Units 1-8 with new Government-furnished SF6 15 kV MCBs, replacement of the existing static excitation systems for Units 5-8 with new Government-furnished static excitation systems, and complete installation of a new Government-furnished static frequency converter (SFC) system at the Richard B. Russell Powerhouse. The work includes, removal of eight (8) main unit circuit breakers (MCBs), eight (8) disconnects, control equipment and enclosures; removal of control cables to the generator actuator cabinets and excitation cubicles in the generator bays and switchgear rooms and to the main control panels in the Powerhouse control room; partial removal of isolated-phase bus and supports; removal of the air compressor; removal of four (4) static excitation systems; installation of eight (8) Government-furnished ABB Type HGC3 SF6 circuit breakers, control cabinets and isolated-phase bus (IPB) and supports, including cable; installation of four (4) Government-furnished Cutler Hammer ES2100 digital static excitation systems; complete the installation of the Government-furnished ASI Robicon static frequency controller (SFC) system, input and output circuit breakers and transformers, two (2) current-limiting reactors, and isolated-phase bus; conduits; medium voltage cables and control cables and terminations; and the miscellaneous electrical accessories. Additional items include installation of eight (8) three-phase disconnect switches for the MCBs, installation of two (2) three-phase disconnect switches for the isolated-phase bus to the SFC current limiting reactors, and installation of four (4) vacuum circuit breakers. Owner: US Army Corps. Of Engineers, Savannah District.